In a decision handed down on Tuesday, the Fourth Circuit was confronted with the case of Central Radio Co. Inc. v. City of Norfolk, which arose from a citation of the owner of a 375 square-foot sign and a possible violation of the owner’s rights under the First and Fourteenth Amendments. The issue presented before the Fourth Circuit dealt with a zoning ordinance the governed the placement and display of signage which was adopted by the City of Norfolk (“the City”). The purpose of said code, Norfolk, Va., Code app. A § 16 (2012) (“the Sign Code”), was both to improve the “physical appearance” of the city, as well as to prevent the hazards accompanying too many, too large, or inappropriately placed signs. An employee of Old Dominion University brought the sign to the attention of the City, which informed Central Radio that the sign was in violation of the zoning ordinance. After Central Radio failed to remove the sign, the City issued citations for not properly obtaining a permit and displaying an oversized sign. 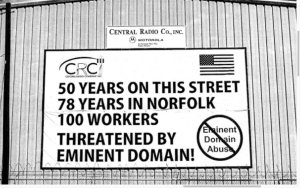 Central Radio responded with a civil suit challenging the enforcement of the Sign Code. Central Radio claimed that it was unconstitutional for the code to restrict their sign’s size while allowing exceptions for flags, emblems, and works of art. Additionally, they alleged that the requirement of a permit was an impermissible prior restraint on their freedom of speech, and they further claimed that the City applied the Sign Code in a discriminatory and arbitrary manner. However, the District Court for the Eastern District of Virginia disagreed and found for the City, and Central Radio appealed. As Central Radio’s main argument revolved around content-based restrictions on speech, both as a facial and as an as applied challenge, they claimed that the Sign Code did not withstand Strict Scrutiny. However, as the Fourth Circuit’s majority opinion pointed out, a “regulation is not a content-based regulation of speech if (1) the regulation is not a regulation of speech, but rather a regulation of the places where some speech may occur; (2) the regulation was not adopted because of disagreement with the message the speech conveys; or (3) the government’s interests in the regulation are unrelated to the content of the affected speech.” If it is indeed content-based, it is subject to strict scrutiny. However, if it is content-neutral it is only subject to intermediate scrutiny. First examining whether the Sign Code was adopted due to a disagreement over what speech occurs, the Court focused on any “censorial intent” shown through the relationship between the legislative purpose of the Code and the content distinctions it addresses. In doing so, it reiterated that the examination is whether the relationship is merely reasonable, not optimal. The Court rejected Central Radio’s contention that because flags and works of art “may have the same [detrimental] effect on aesthetics and traffic safety as exempted displays,” there was not a “reasonable relationship” to a legitimate state interest, making the Code content-based. The Court instead concluded that because the Code applies regardless of the message conveyed and only restricts the “time, place, or manner” of a sign’s location, it had a reasonable relationship to legitimate interests and was not a content-based restriction. The Court went on to distinguish “art” as an acceptable category for an exemption in this case, as the exemption was also content-neutral which bolstered the City’s argument that the Code was not content-based. Because the Code was determined to be content-neutral, the Court continued its analysis based on an intermediate scrutiny rationale. This was an easy hurdle for the City to surpass, as aesthetics and traffic safety “are substantial government interests.” The Court even pointed out instances of drivers honking horns in support as evidence that the sign had an effect on traffic. Additionally, even the type of speech attempted by Central Radio was not eliminated, only restricted in size, leaving it an alternative, albeit smaller, means of communicating. The Court reiterated that there was no constitutional right for having the location or manner of speech that the speaker would see as most desirable. Next, the Court examined the claim that the Sign Code was selectively enforced, which would have required Central Radio to show that there was a discriminatory effect on them which was motivated by a discriminatory purpose. However, Central Radio had not submitted the requisite evidence to prove such a claim, and therefore, the Court determined the district court was proper in its dismissal of this claim. As for the claim of prior-restraint of speech in the granting of permits for signage, the Court also found for the City. 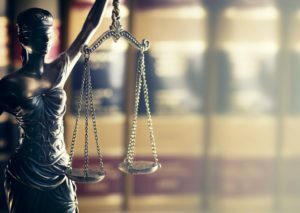 While there are procedural safeguards for the decision-making processes relating to speech, those safeguards are in place only for content-based restrictions, which the Court had already determined were not present here. There was no circumstance of “unlawful favoritism,” nor was there an arbitrary amount of discretion given to the permitting officials. A dissenting opinion written by Judge Gregory questioned the majority’s lack of consideration of the political speech present in the case. The fact that the speech in question was prompted by the government’s attempt to seize Central Radio’s land was something that should not be ignored. Furthermore, the dissent disagreed with the majority’s conclusion that the City had demonstrated a “reasonable fit” between the governmental interest and the regulation. The dissent also felt that the Code discriminated based on content, even though it was asserted to have a content-neutral purpose. The Majority’s Opinion reiterated the standard for content-neutral speech restrictions, and the Sign Code passed its muster. It affirmed the district court’s ruling of summary judgment in favor of the City, and upheld the Code as constitutional, allowing for the citation of Central Radio and the removal of its sign. Apparently size does matter.